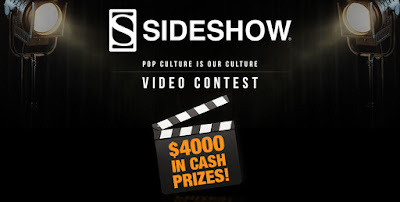 Sideshow is hosting a video commercial competition and giving away thousands in cash prizes! 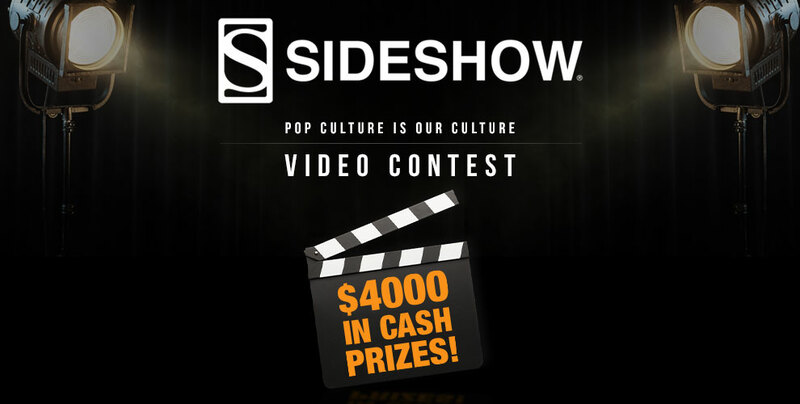 They’re looking for creative video entries that encompass entrant’s interpretation of this year’s theme of ‘Pop Culture is Our Culture’! Create a video under a minute long that includes this video bumper. Fill out the entire form below and include the YouTube link to your submission. Don’t forget, you must be 18 years or older to enter. Check out the Official Rules for complete details, click here.